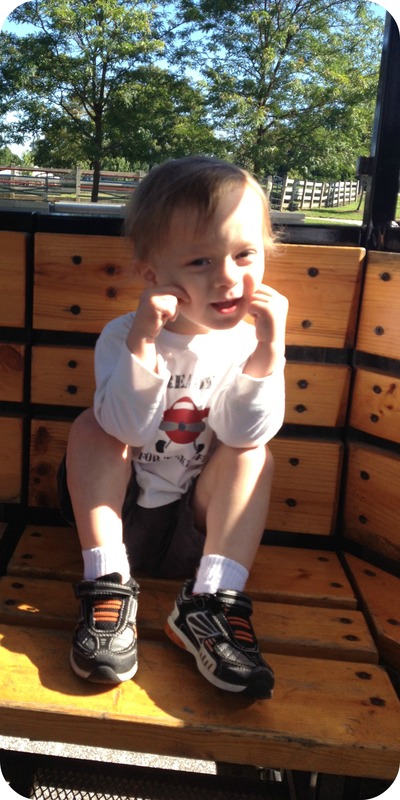 Saturday Snapshot is hosted by Melinda of West Metro Mommy. It’s easy to participate – just post a picture that was taken by you, a friend, or a family member and add your link on Melinda’s site. 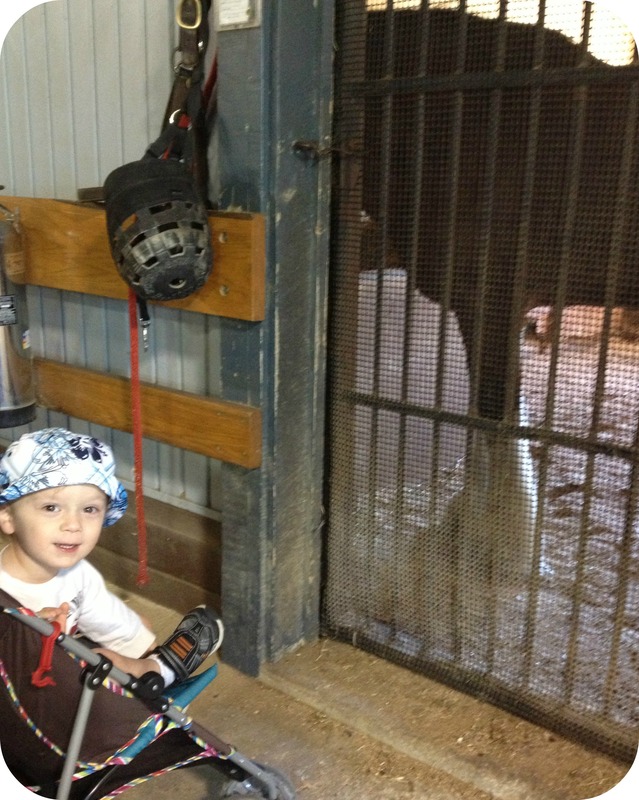 Last week I took Gage to the farm. The stroller lasted about 20 minutes. 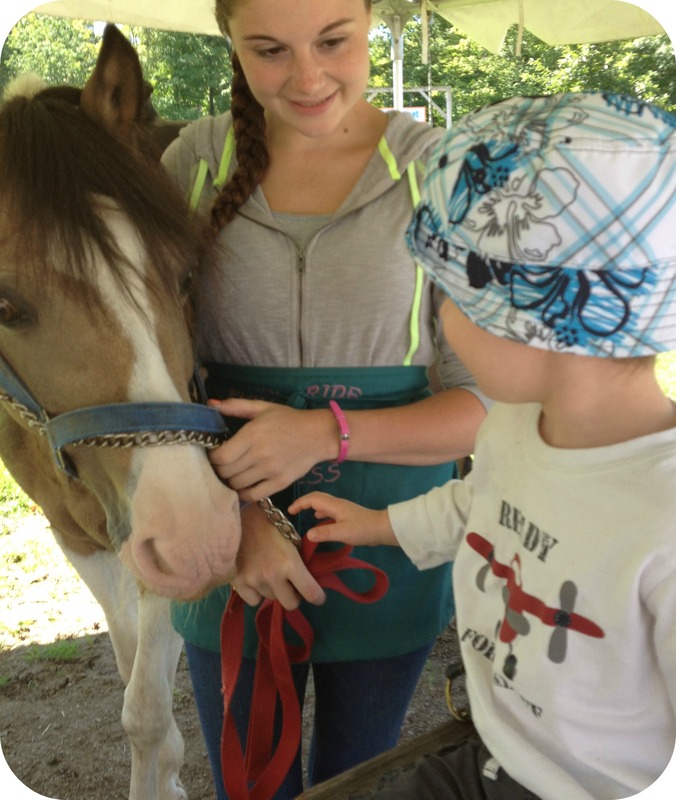 He got to pet a pony. And got sneezed on by same pony. The girl said, “It’s all right.” Um, no not really. We both had horse residue on ourselves til we got home. He also touched the big cow. Progress. On our first trip he was too scared to get close. Riding the tractor around was a big hit. He studied up on windmills and solar power. 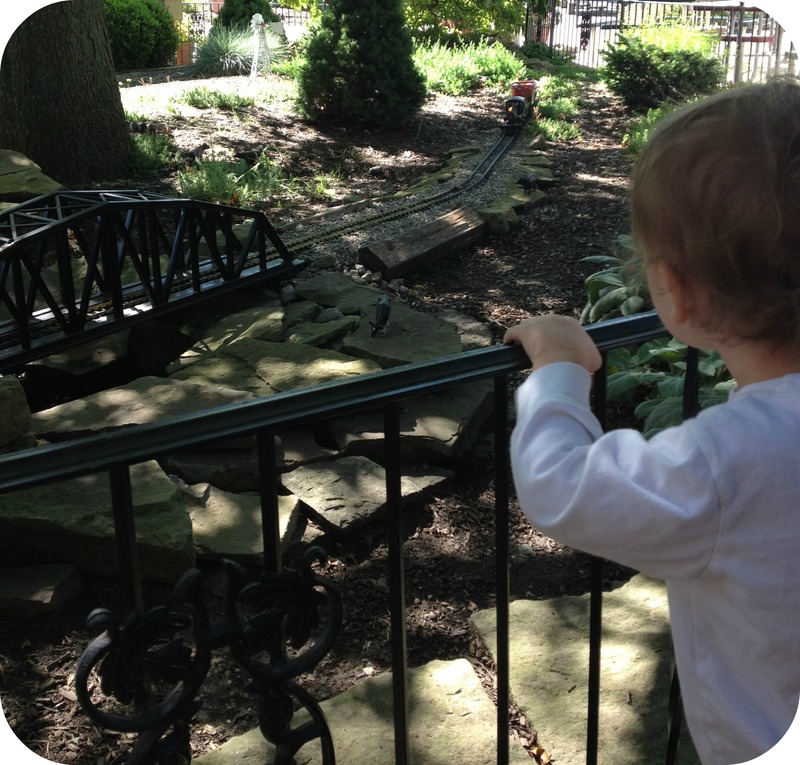 By far his favorite was the big train near the entrance. We had to make several trips back to watch it during our visit. It is a cool train. 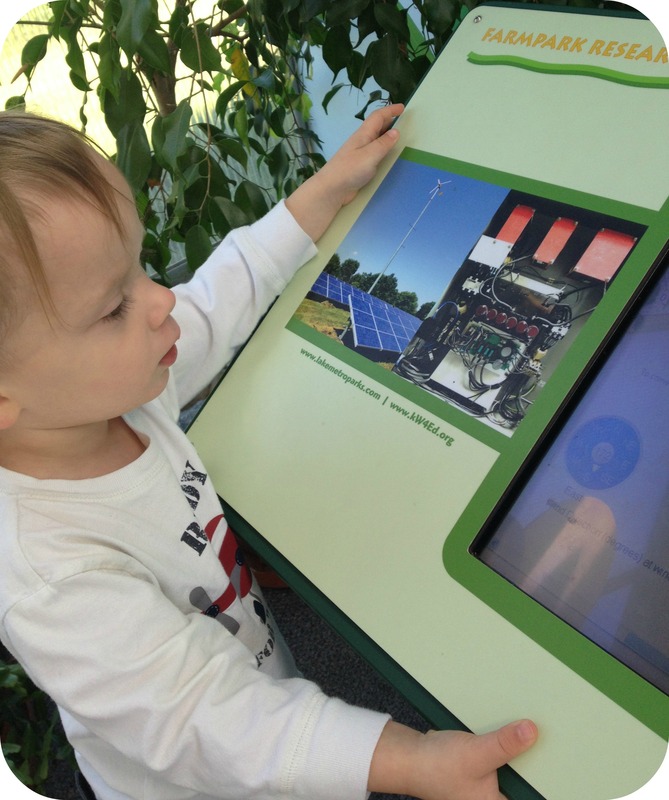 Lake Farm Park is very kid friendly and much more accessible and relaxed than the zoo. Too bad he was crying. It sure does look like you had a great time. My folks loved Lake Farm Park. If I’m ever up that way when I’m not on tour, I need to go! Love the big tomato! Looks like a great place for kids. What cute photos. Looks like a really fantastic day out. Perfect times are always hard to leave. What a lovely day. Those giant tomatoes are great! Aw, it’s hard to leave that much fun behind! It does look like a neat place. Sorry to hear about the horse residue… yikes! 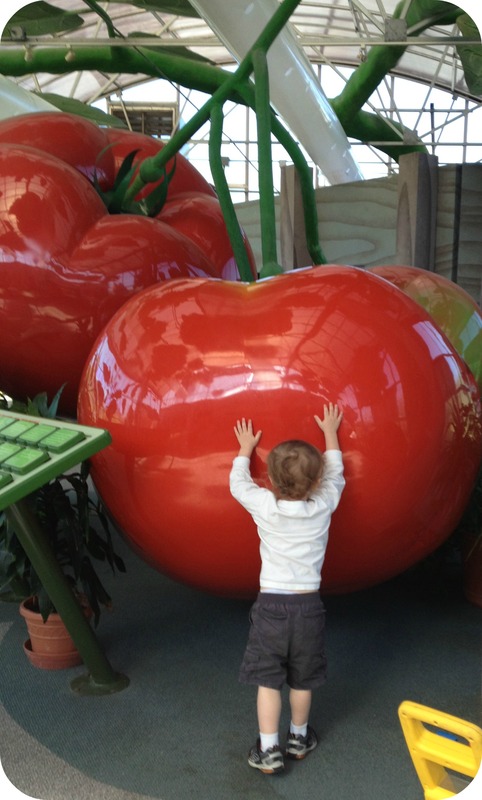 This looks like such a great place for kids… love those big tomatoes!! What great memories you made that day! I had to laugh at the horse residue. My daughter and I just came home from the animal shelter covered in cat residue (one even sneezed and splattered my glasses). 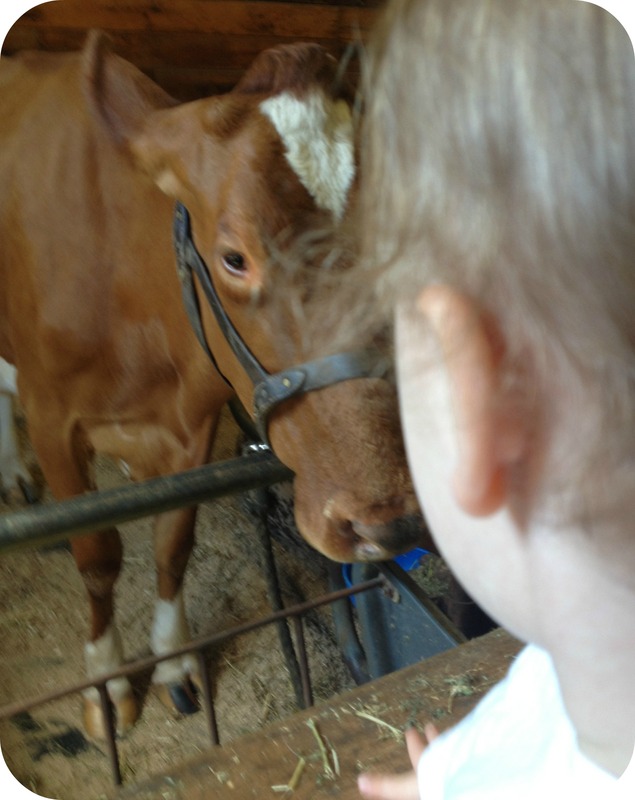 Farm visits are awesome for kids, even if it DOES have to end eventually! Gage looks like he is having so much fun. No wonder he did not want to leave. Have a great week Stacy. What fun! I love the farm feel and glad Gage had a great time. Gabe always hates leaving; I usually have to bribe with a sucker 😉 Such a great mom! Looks fun! wish we had a hobby type farm that we could take kids to here locally. Glad Gage had such a good time. Trains! It’s all about trains! What fun! It looks like Gage had a great time. 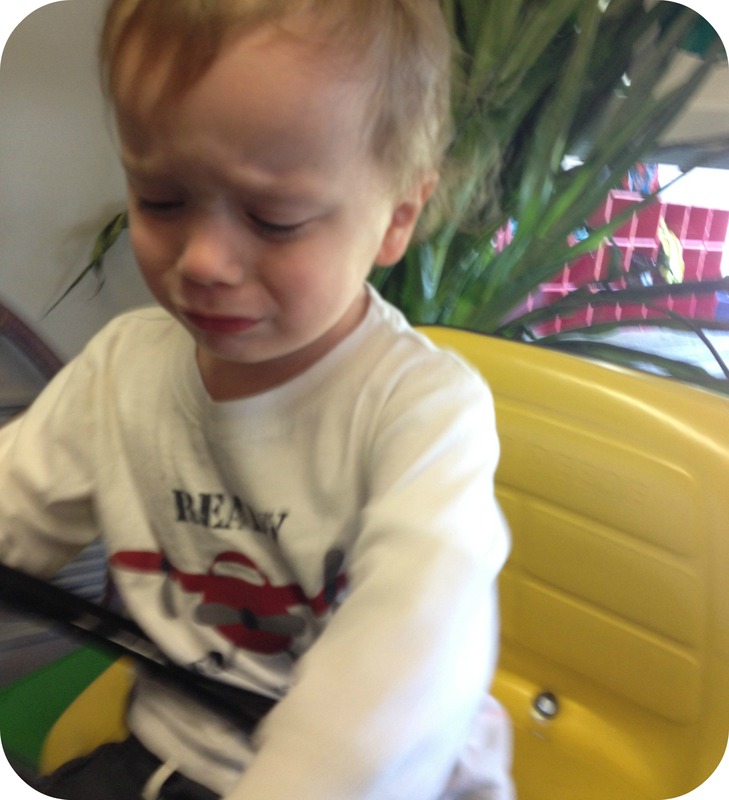 My husband never wants to take the stroller in when we go to the zoo or some such park. I usually give in and we skip it–and then regret it. The few times we’ve taken the stroller, like with Gage, Mouse ends up not wanting to ride in it. We can’t win! Haha!